Yuta Koide is a surfer/shaper from Costa Mesa, CA and is the founder of Shakastics, old school sidewalk surfer skateboards. A self-professed skateboard nerd, Yuta couldn't find the kind of skates he desired so he started making his own. We spoke with Yuta to learn more about his unique art form. What was the original inspiration for creating Shakastics? 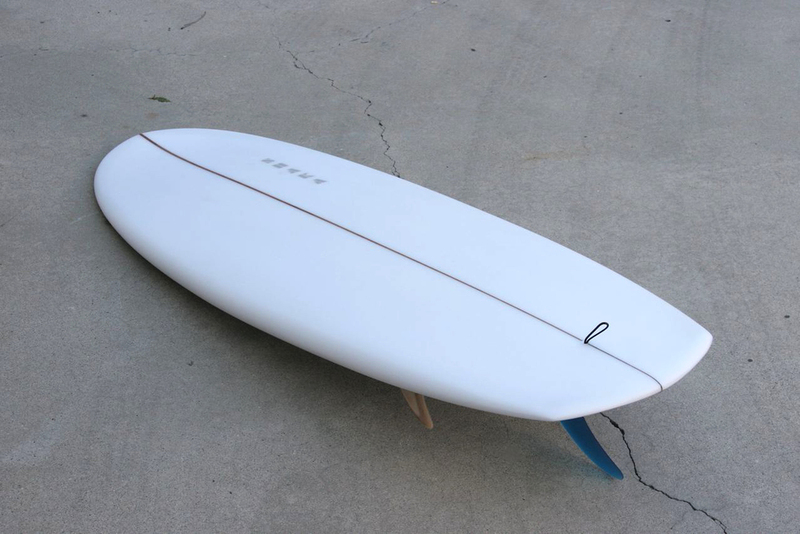 In 2009, I saw a Solitary Arts Traveler board at a surf shop. 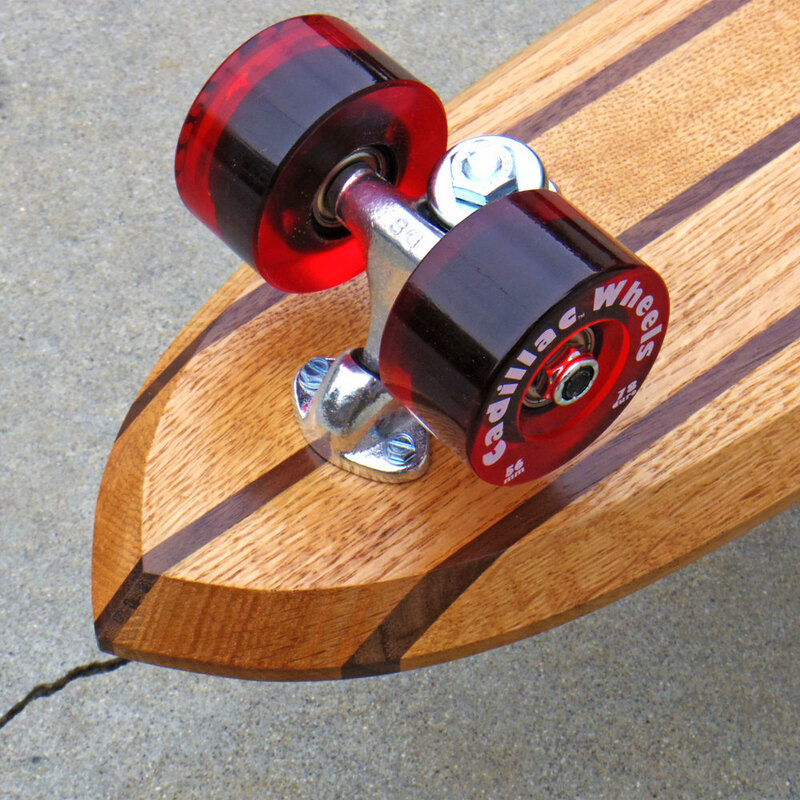 It was a tiny, solid wood old school cruiser skateboard with a small kicktail. I had never seen anything like that before and I wanted one, but they sold out quick. I started going to swap meets to check out to see if there was anything like the Traveler board. 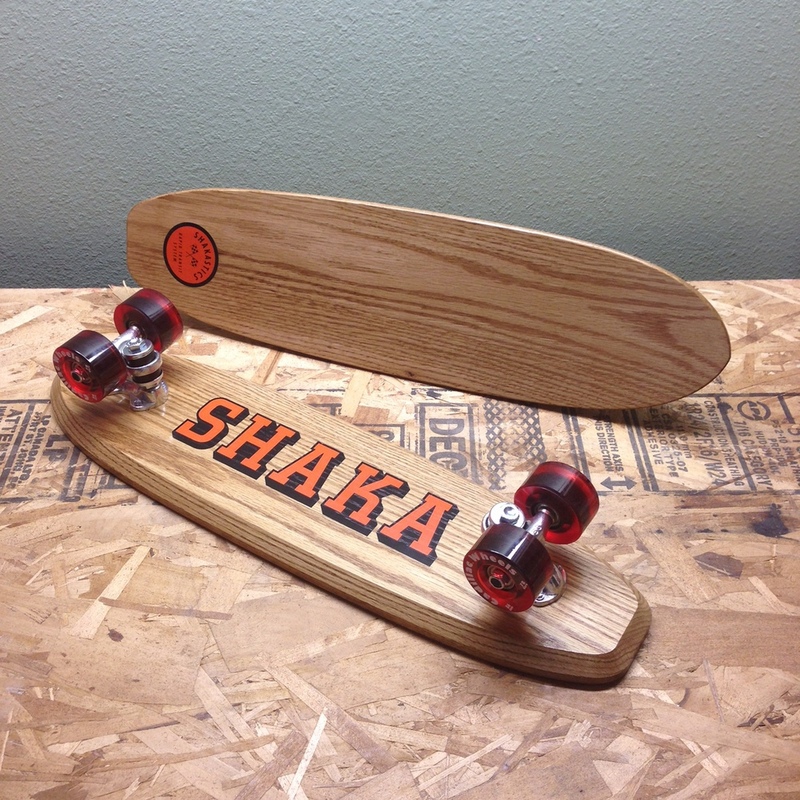 But the vintage skateboards I liked were pretty expensive so I thought I should make one myself. That was a beginning of Shakastics. What are some of the challenges involved in making your boards? The whole process of making solid hardwood decks takes time and is still challenging to me. Cutting out a deck isn't that difficult if you have tools, but the finishing of a skate deck is time consuming, and I really need lots of patience in order to achieve good results. Who is your customer and why do they choose Shakastics? I get orders from all over the world! I am so stoked that some of my skateboards are ridden someplace I have never been. I think my customers choose Shakastics because they want to have that same feeling that people had in the old days – simply sidewalk surfing on the street. I think it is rad and I really appreciate their support. I was born and grew up in Tokyo, Japan. I always liked to play with LEGO or plastic models or making something. I wasn't into any sports. I was an otaku (nerd) kid. At age 12, I began skating. But more than the actual skating, I liked the graphics on the decks or ads in Thrasher Magazine. I was a skateboard nerd... and I think I still am! 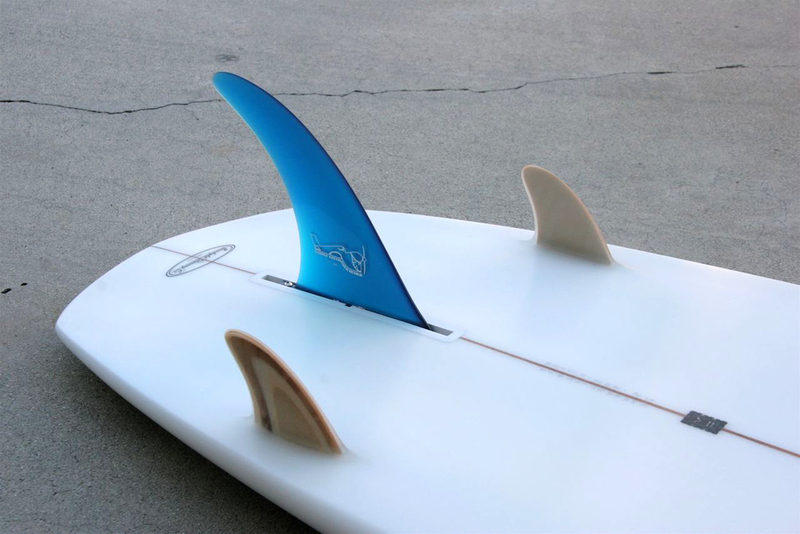 You also shape surfboards. Tell us about that. 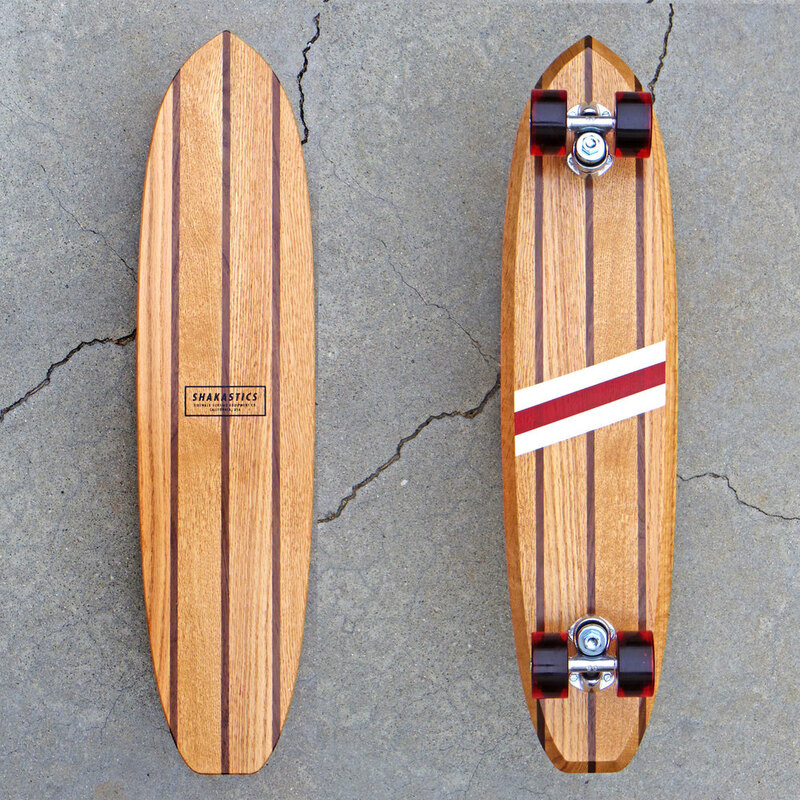 Does it influence your skateboard designs? I met Manny Caro of Mandala surfboards about 6 or 7 years ago and he let me see how he shapes his surfboards. The first board I shaped took me 9 hours because I only had a Surform and some sand paper. It was a super crappy 5'6" Mini-Simmons/Hull-ish twin fin, but It actually surfed good! I still remember how stoked I was when catching the first wave on that board. When making custom decks or master templates for production, I use half templates just like surfboard templates. Sometimes I use 2-3 different templates to draw a single outline moving around the template like drawing curved lines with french curves. That is one thing I learned from Manny, he showed me how he uses his templates. Arigato Mani-san! There are so many people and things that inspire me, but recently I read a book by The RZA, The Tao of Wu and that was truly inspiring. What is your favorite surfboard and surf spot? I have not been able to surf that much lately, but I like surfing Blackies. My favorite board I shaped is my 5th board. A 5'6" round tail stubbie. What’s next for Yuta Koide and Shakastics? Hopefully I can spend more time in the water in 2015. I want to keep making stuff that I can have fun with and to be able to keep doing the Shakastics label as long as I can. For me personally, I have few ideas and plans in my head, but I can't tell you!